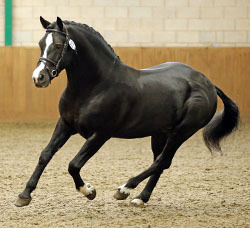 An Extraordinary Black Class 1 Connemara Stallion. 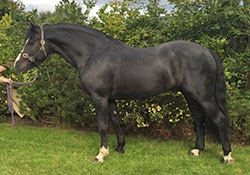 Sire: Frederiksminde Hazy Merlin is a Danish imported Class 1 Connemara stallion. His Sire, Hazy Dawn and dam, Oxenholm Movie Star, together have bred 3 Class 1 stallions and 9 Class 1 mares who are significantly representing the true traditional Connemara pony. Hazy Dawn was the first pony to ever get the mark 10/10 for type at inspections and, in addition to his mating with Merlin’s dam, Hazy Dawn has sired a further 9 approved Stallions. Dam: Kippure Kim has the most extraordinary rare Connemara bloodlines. Herself she has no record of achievement but the achievements of her parentage as influences on the breed are legendary with her dam’s sire line going back to the famous Carna Bobby. Damsire: Thunder Bay, described as a “miracle pony who seemed to fall from the sky”, was late to be used but is a rare but very important line. A direct descendant of Thunderbolt, you wouldn’t need to delve far into all FEI recognised Connemara ponies to find that many of them contain the Thunderbolt line way back, but rarely would it be this close in bloodlines of an approved stallion available in the current market. 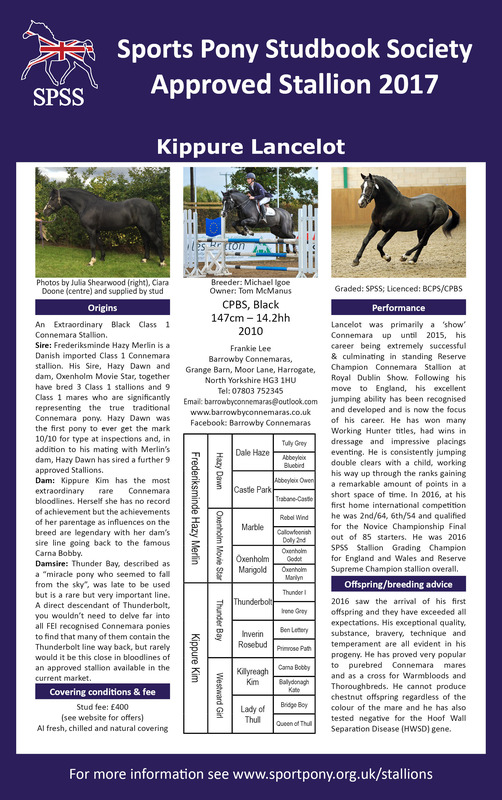 Lancelot was primarily a ‘show’ Connemara up until 2015, his career being extremely successful & culminating in standing Reserve Champion Connemara Stallion at Royal Dublin Show. Following his move to England, his excellent jumping ability has been recognised and developed and is now the focus of his career. He has won many Working Hunter titles, had wins in dressage and impressive placings eventing. 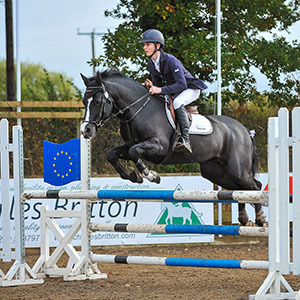 He is consistently jumping double clears with a child, working his way up through the ranks gaining a remarkable amount of points in a short space of time. In 2016, at his first home international competition he was 2nd/64, 6th/54 and qualified for the Novice Championship Final out of 85 starters. He was 2016 SPSS Stallion Grading Champion for England and Wales and Reserve Supreme Champion stallion overall. 2016 saw the arrival of his first offspring and they have exceeded all expectations. His exceptional quality, substance, bravery, technique and temperament are all evident in his progeny. He has proved very popular to purebred Connemara mares and as a cross for Warmbloods and Thoroughbreds. He cannot produce chestnut offspring regardless of the colour of the mare and he has also tested negative for the Hoof Wall Separation Disease (HWSD) gene.